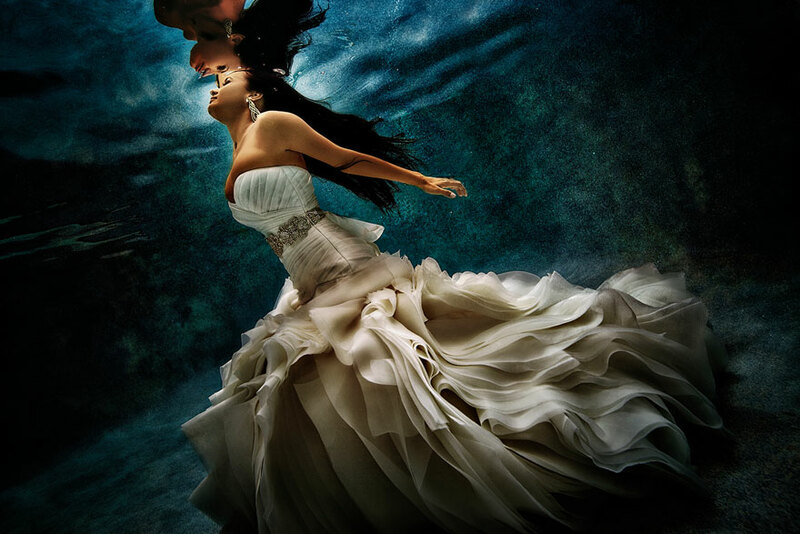 Mermaid Brides: I’m Breaking The Rules Of Traditional Posing And Bringing My Brides Underwater! Forget what you knew about your typical wedding photos! I am breaking all the rules of traditional posing and bringing my brides and grooms underwater! By bringing them into the underwater realm, anything becomes possible. 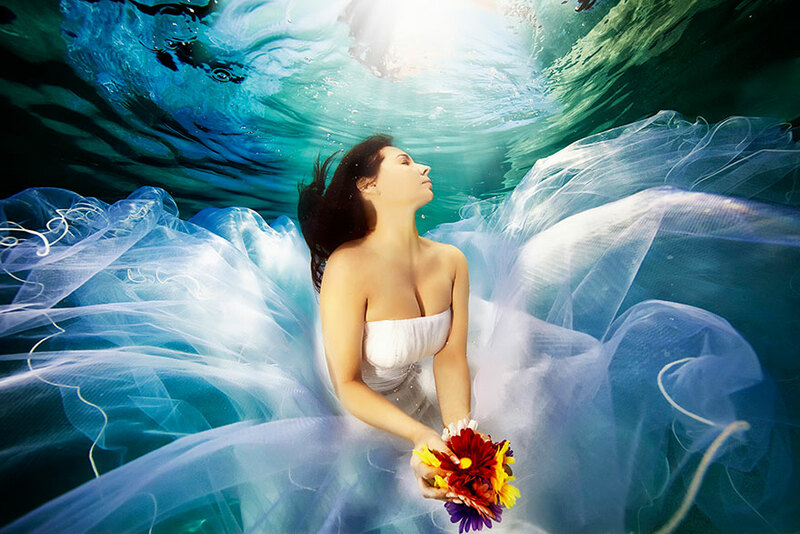 I incorporate the weightless environment underwater with bridal beauty and elegance to transform the brides into mermaids, and bring their wedding dresses to life! Wedding and Lifestyle photographer by day ... Underwater Photographer by night! I am always trying to push the envelope and create art through people and their stories. 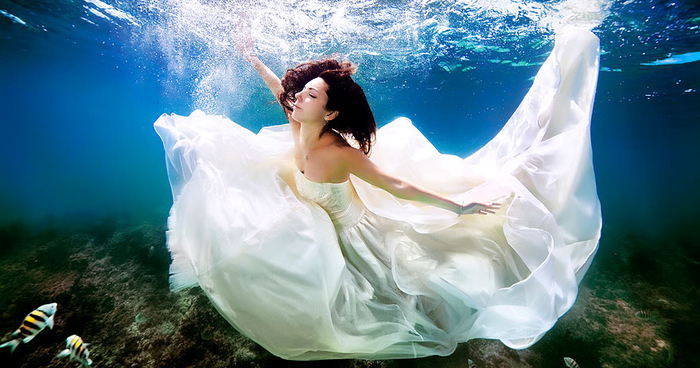 Wedding dresses do some fab things underwater! 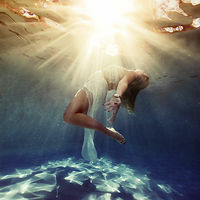 I think we'll be seeing more (fashion) photography underwater now. 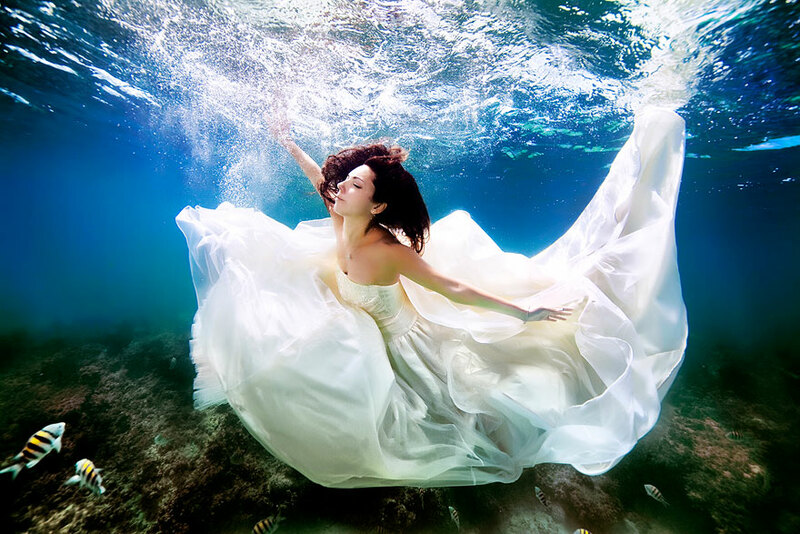 The dresses truly are amazing underwater! Oh my, I find these truly stunning. Your work is quite unique and beautiful.